Get the quality and quantity of sleep you need with Rested Essential Oil Blend. Our unique and effective blend of 100% pure essential oils will help you get to sleep and stay asleep. Add to your bath water, put a few drops on your pillow case. Inhale directly through our small inhaler or by using a diffuser or place a few drops in hot or cold water and soak a washcloth to make a compress. 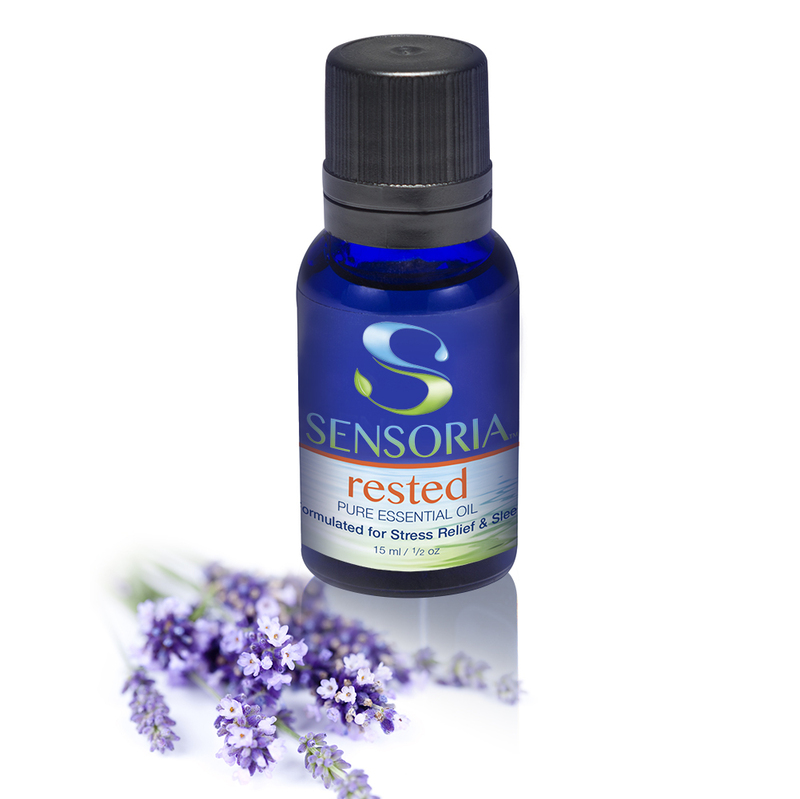 Feel better naturally with Sensoria�۪s Rested Essential oil blend for a better night�۪s sleep.